4th and 5th grade students at WTSD celebrated Pi Day! 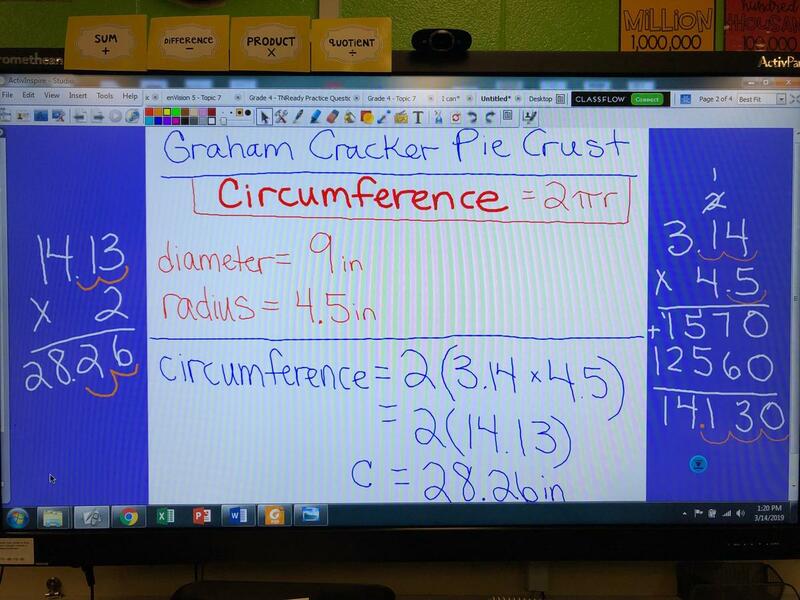 The 4th and 5th grade students celebrated Pi Day by watching two Flocabulary videos about Pi and how to find the circumference and area of circles using pi. 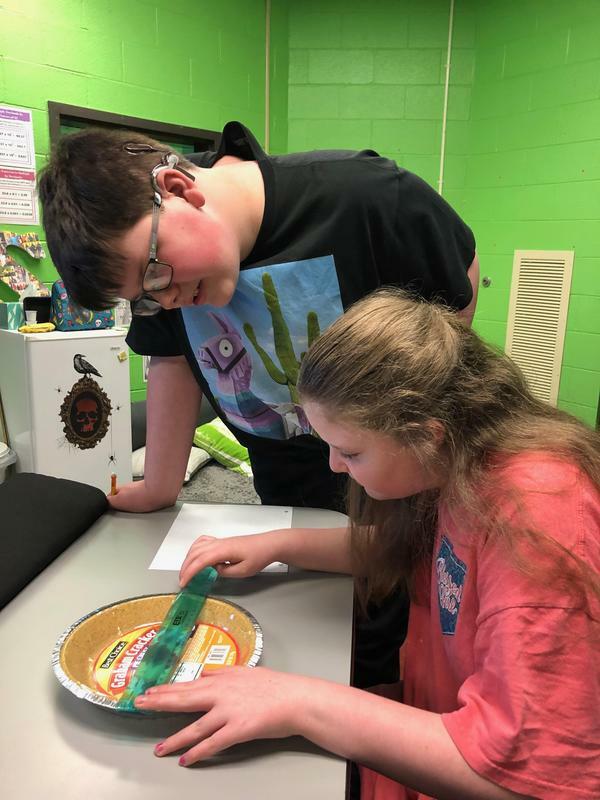 The students were then required to calculate the circumference and area of their pie crust before they could create their chocolate pudding pies. This entire day required the students to work together cooperatively in order to solve the problems and make their pies. The 5th graders used their knowledge of multiplication of decimals in order to figure out the circumference and area independently as a pair, while the 4th graders used their knowledge of multi-digit multiplication and were guided on how to incorporate decimals into the process. All students were required to work with fractions as well when measuring ingredients for the making of their pie. These activities continue to be a hit with the students as they always have so much fun on this day! Of course, they could not wait to eat their pie for snack!